There are numerous t-shirts out there to help you showcase your inner nerd. Some are just pretty stupid with horrible quotes on them. 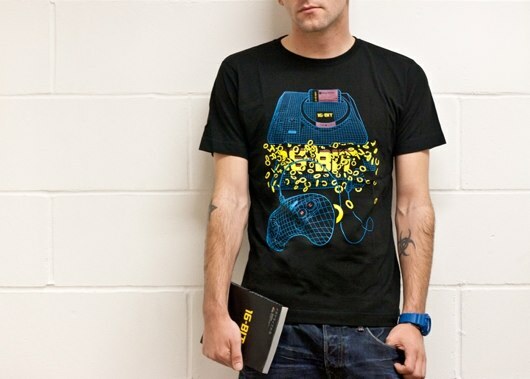 For example, do you really want to wear a shirt with a NES cart on it, and written underneath is “Just blow me”? At least there are some clever, well designed t-shirts out there. Just look below! Blip Festival Australia is fast approaching, so I figured for the next few Mondays I will feature one artist each week from the amazing lineup, for Chiptune of the Week. To kick this off, I’ve chosen one of the acts I’m personally looking forward to seeing, and that is Trash80 from the US. This artist creates some amazing 8-bit tunes interlaced with electro, that brings a breath of fresh air into the room when played. The tune is “Missing You” from the Icarus EP. You can download it for free from Trash80.net and bask in its glory! Just last week, this platform game for the Game Boy appeared on the 3DS eShop. Released in the early 90’s, this game is reminiscent of Kirby titles, but with what looks like Pokémon. Seems to be a fairly easy game to play considering the enemies don’t kill you on touch. Regardless, it looks gorgeous for a Game Boy title, and is available now from the eShop on your 3DS for AU$4.50. Whilst on the subject of re-releases of classic titles, GOG.com now has Time Commando on their site. Would you believe, going by the screenshot above, that when first released, this game only required a 486 to play? Amazing! 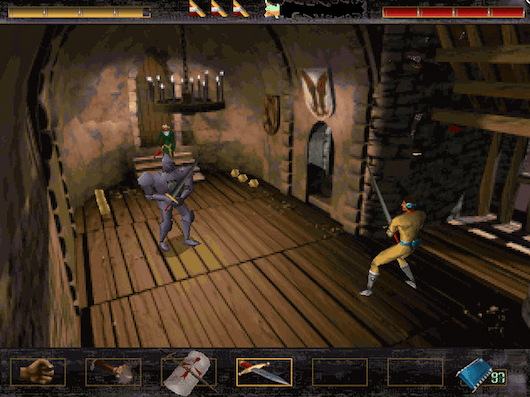 So you travel through time, and fight themed enemies in a similar fighting environment to Alone in the Dark. Pretty full on storyline, where a military supercomputer has been infected with a virus, and has started messing around with time-warping and pretty much altering history. You have to go and get medieval on the threat and restore time itself. Fun game and definitely worth checking out! And finally, another ROM hack, but like no other. Super Mario Unlimited is more or less a new adventure for the NES, with graphics reminiscent of Super Mario Bros. 3, but uses the Super Mario Bros. engine as you patch the original ROM for it. So yeah, new graphics, new music and sound, as well as 40 challenging-yet-lip-smacking-from-frustration levels! Looks like a lot of fun!